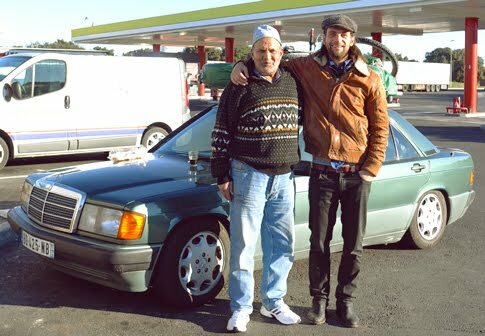 The Auto Marketing Blog: Would You Pickup this Hitchhiker in Your Benz? I love the truly bizarre marketing ideas. One of favorites was last year's An American Werewolf in Yaris. It has been replaced by an even stranger idea - this one from a Berlin street artist and photographer Stefan Gbureck for Mercedes-Benz. It's called "Tramp a Benz", and for those lacking a German to English dictionary "tramp" is basically German for "hitchhiking." The idea comes from the German advertising agency Jung von Matt. The travels of street artist Gbureck are captured digitally via a blog and Facebook fan page, and what blog doesn't have a Facebook page these days - except my blog. I wonder how this would translate in America. I'm guessing only hitching rides with Benz drivers would involve a lot of walking and wondering if hitching a ride with a Chrysler when Mercedes owned them would count. 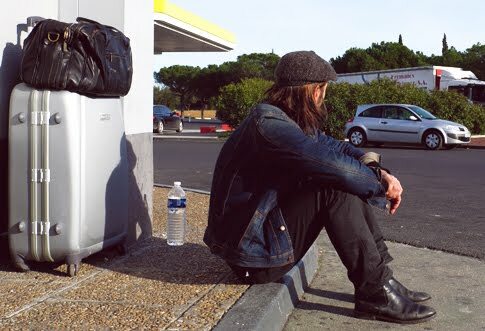 The only time I ever picked up a hitchhiker was in high school at 16 when I saw two older girls (probably 18-20.) I cruised up in my '76 Chevy Vega and they giggled a lot at me, but fortunately didn't kill me and throw my body in a vacant lot which is pretty close to what my mom said would happen if I picked up a hitchhiker again.